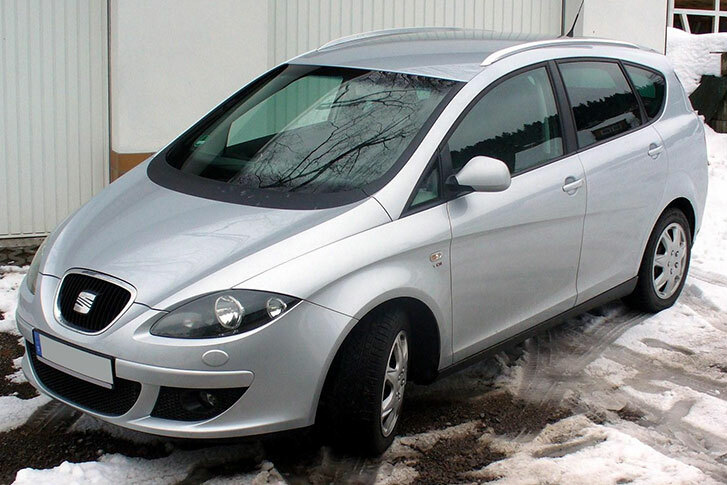 The reasonable price drop in 2015 for retail buyers of Seat Altea made it a very competitive choice among five seat vehicles. Competition is tough but continuous development has brought it to a respectable stature. Standard equipment list has also become a bit longer than before. Smart use of space inside cabin has increased by providing overhead storage. Lights and wipers have become automatic so they start functioning without any gesture of occupants. Satellite navigation, dual zone climate control and eight-speaker DAB radio are other notable features buyers would get without paying extra money. Flexibility has also enhanced by the possibility of rear seat sliding and double boot floor. Congested parking area assistance in form of front and rear sensor is also part of the standard package. Though second-row seats cannot be removed completely their sliding, folding flat and splitting are extremely useful. Space inside the cabin is also adequate for adult riders so that much you get in this new car. The seat of a driver can be adjusted as far as height is concerned and steering also adjustable so you can get to a decent position to drive it. Technology features’ control has been placed logically but the plastic used to build interior is not of high quality. The absence of soft plastic and small windows creating blind spot while reversing is disappointing. Seat Altea 1.6-Litre TDI Ecomotive engine is capable of 103bhp. With five manual speed transmissions performance is quite reasonable within the town but on highway, speed pedal need to be pushed harder. It also needs to be made more refine as noise produced when start functioning and on high revs. Vibrations though very little get enter the cabin. The suspension is also hard so the comfort level is not that high but steering is responsive. With more features, it has become a good choice for this class of vehicles. The cabin suggests it in between an MPV and a hatchback. In this way, it is quite unusual automobile but benefits for the buyers have increased. XL version offers extra length for the second row and boot space against very little cost. Being an Ecomotive motor, the car has lowered down carbon emission consequently buyers will pay less road tax. At the same time, you get ideal fuel consumption average of sixty miles per gallon. Thus you would enjoy a lot of technological improvements as well. Since the first launch in 2004, the car has been evolved into a decent family car option. The cabin is loaded with great features and exterior is much impressive due to aerodynamic design. Introduction of new technology features in 2015 has made it a good challenger to the new cars of this decade. With one trim level and two diesel engines, the range is offering no real choice to the buyers. The spacious cabin is a definite advantage and with modern technology, it has become a real contender in the class.